1. We have so mushroom for these Veggie Crumpets! A veggie delight! 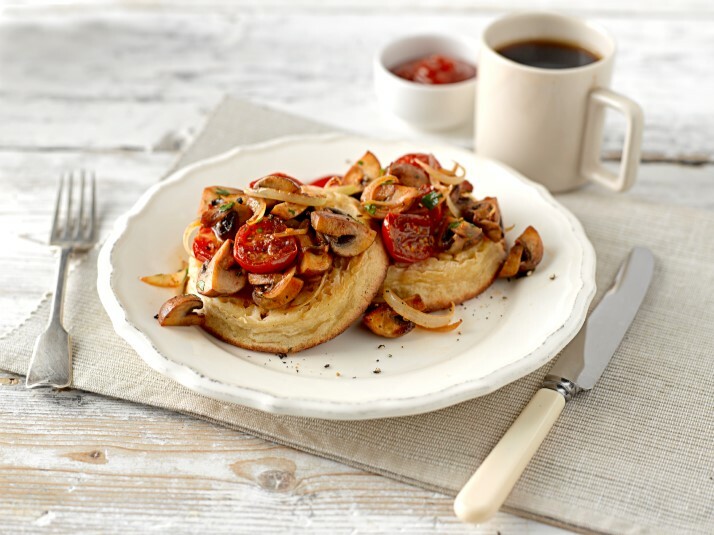 Enjoy your crumpets topped with this tomato and mushroom combo for a delicious, flavoursome gluten free breakfast. Eggs Benedict is a breakfast classic! But why not opt for a different base and use our gluten free crumpets - for a truly tasty start to your day. Check out our Eggs Benedict recipe. 3. Yogurt to try this! Simple and berry berry nice, we recommend topping our gluten free crumpets with yogurt and fresh berries for your next breakfast! 4. 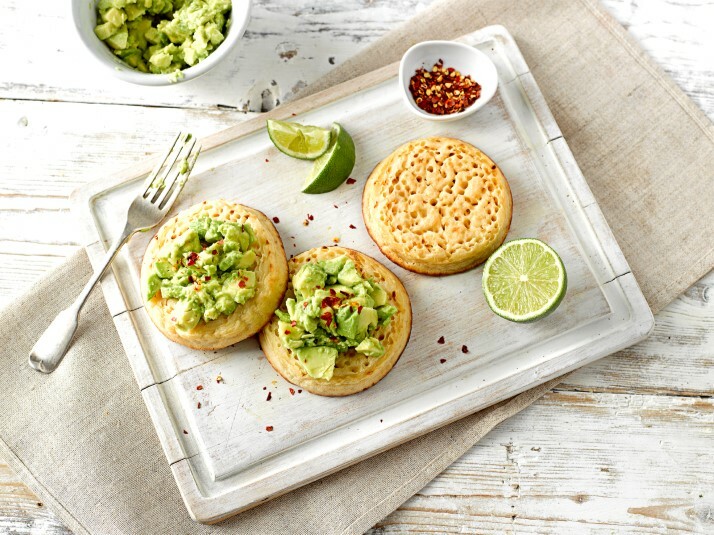 Crumpets and avocado – how smashing! Avocado is the perfect topper for any snack…but what about smashing some on top of crumpets? Mixing in lime juice ensures a fresh taste, and be sure to sprinkle on those chilli flakes for a complimentary kick! Find the full ingredients and method here. Fancy something extra special for breakfast? Have a go at serving up toasted gluten free crumpets with fresh smoked salmon, perfectly poached eggs and homemade hollandaise sauce. Visit the recipe page for step by step instructions. Gluten free crumpets served up with scrambled eggs and slices of sausage – a scrumptious combination, and the perfect recipe for a weekend brunch! 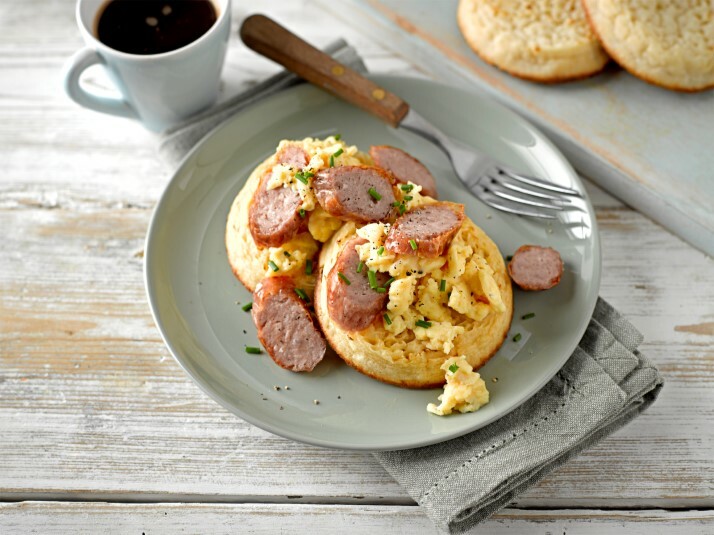 Check out our scrambled egg and sausage crumpet recipe here. Wondering how to enjoy your crumpets at lunchtime? This recipe for tuna melt crumpets is perfect – adding baby spinach and roasted peppers to really make it special. 8. Honey, I’ve eaten all the Crumpets! 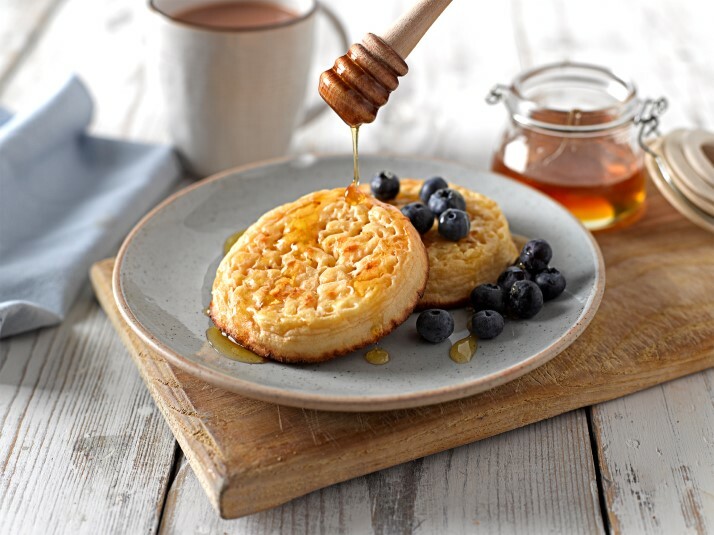 For a sweet and simple treat, we recommend drizzling some lightly toasted crumpets with honey – delicious! Want to enjoy gluten free crumpets for your evening meal or lunch? 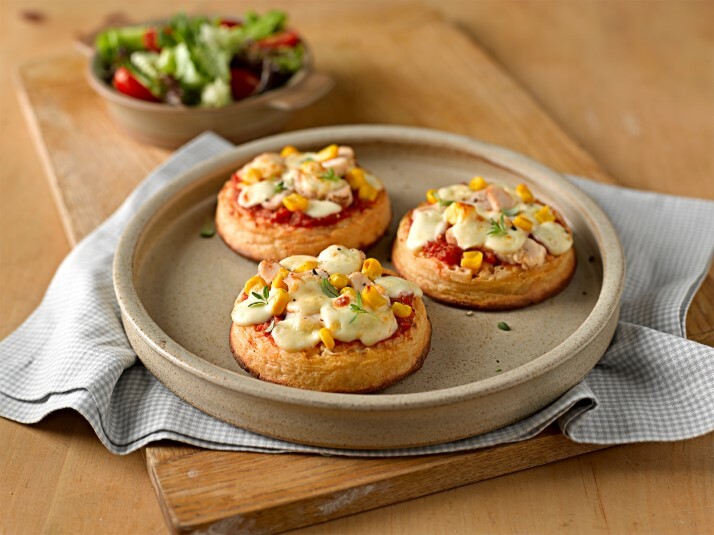 Crumpet pizzas are the perfect option, and chicken and sweetcorn make a delicious topping! Our chicken and sweetcorn crumpet recipe can be found here. Smooth and fruity, try this recipe topping gluten free crumpets with mascarpone and pineapple for a tasty snack! 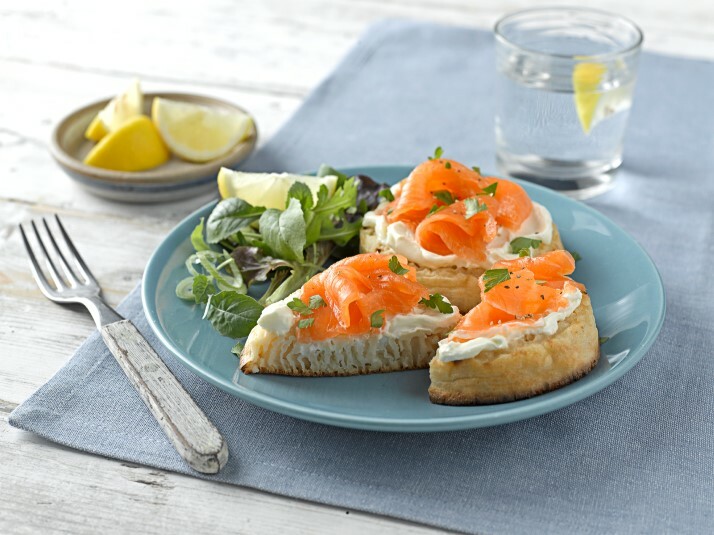 Smoked salmon and cream cheese is a classic combination. 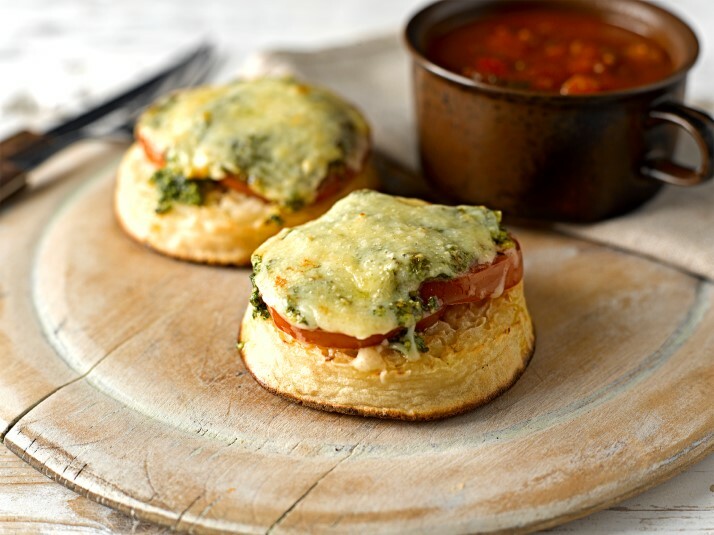 Enjoyed on our gluten free crumpets, this recipe is your route to a lovely breakfast or brunch. If you fancy giving this a go, visit our recipe page. 12. You should be bacon eggsquisite Crumpets! For an exciting crumpet creation try frying them in this eggy mixture and topping with crispy bacon and vine tomatoes. Tasty! 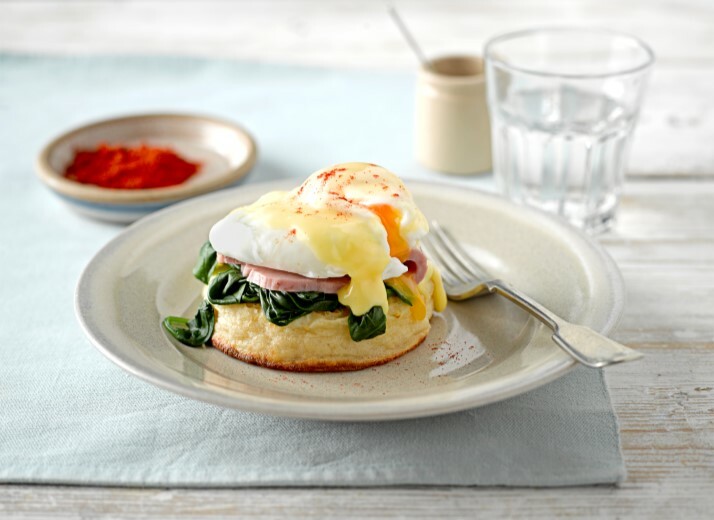 Check out our eggy crumpet recipe here. 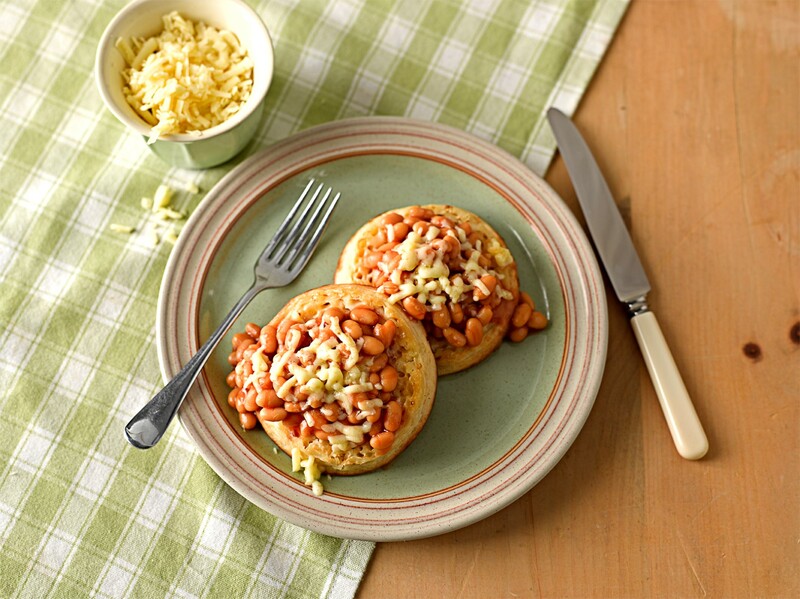 Beans on toast is a go-to choice…but have you tried beans on crumpets? For a simple and warming option, definitely give this a whirl! 14. You want a pizza this Crumpet? Check out this video recipe – we’ve got more ways for you to enjoy our gluten free crumpets, pizza style! Add tomato passata and the toppings of your choice or check out our recipe here. Love melted cheese, love tomatoes and love pesto? Then this is the crumpet topping for you! So simple to make and so tasty to eat. If you need this in your life, find the recipe here. 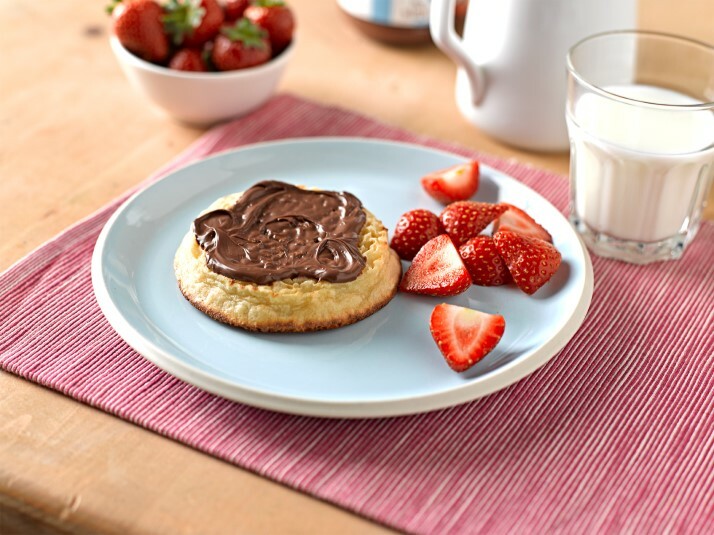 A popular choice that never fails, spreading chocolate spread on to warm gluten free crumpets and serving with berries is a truly yummy treat! Whether you’re enjoying one of these recipes, or putting together something special of your own, we can’t wait to see all of your Gluten Free Crumpet creations…enjoy! Find out where you can buy our glorious gluten free crumpets using our store locator.